Using flashback method, we can restore an accidentally dropped users in oracle. Basically, we will flashback the database to past, when the user was available, Then take an export dump of the schema, and restore the database to same current state. 2. Flashback must be enabled for the database. 1. Make sure flashback and archive mode is enable. 3. flashback the database to past, when the user was available. We can see the tables are available now. Though it need some outage in the database, to restore the user, we are able to restore schema, without losing any other data in database. 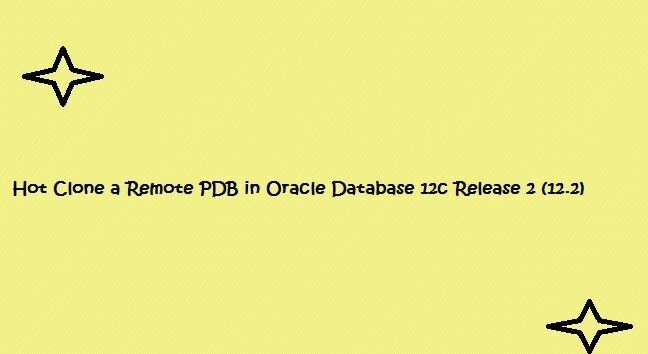 In 12.1 remote cloning was the prerequisite of placing the source PDB or non-CDB into read-only mode before initiating the cloning process. This made this feature useless for cloning production systems, as that level of down-time is typically unacceptable. 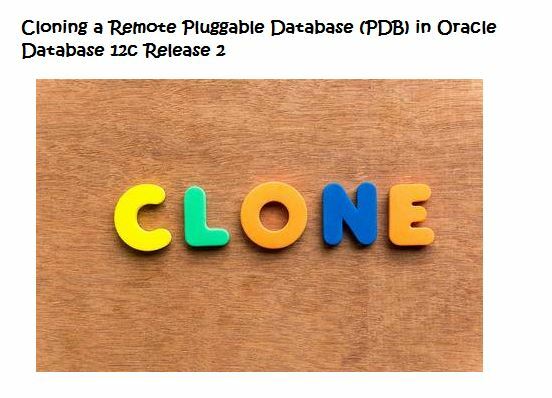 Oracle Database 12c Release 2 (12.2) removes this prerequisite, which enables hot cloning of PDBs and non-CDBs for the first time. 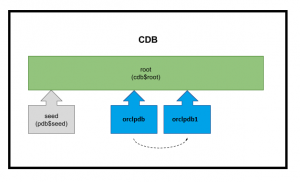 Step 1 : Connect to the remote CDB and prepare the remote PDB for cloning. Step 3 : Check the remote CDB is in local undo mode and archivelog mode. Step 4 : Because the remote CDB is in local undo mode and archivelog mode, we don’t need to turn the remote database into read-only mode. Step 8 : Create a new PDB in the local database by cloning the remote PDB. In this case we are using Oracle Managed Files (OMF), so we don’t need to bother with FILE_NAME_CONVERT parameter for file name conversions. Step 9 : The PDB is opened in read-write mode to complete the process. Thus the remote clone Pluggable Database cloned successfully. We need to connect the Database with local connection.Check its up and running. 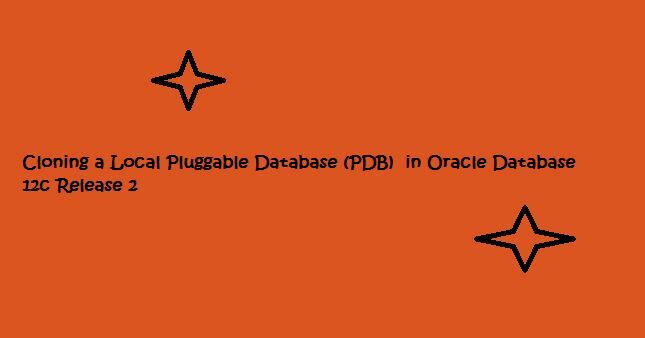 Need to create user in the remote pluggable database also with the privilege of create session , create pluggable database. Switch the remote PDB to read only mode.when the source pluggable database prepared with tnsnames and listener as well. 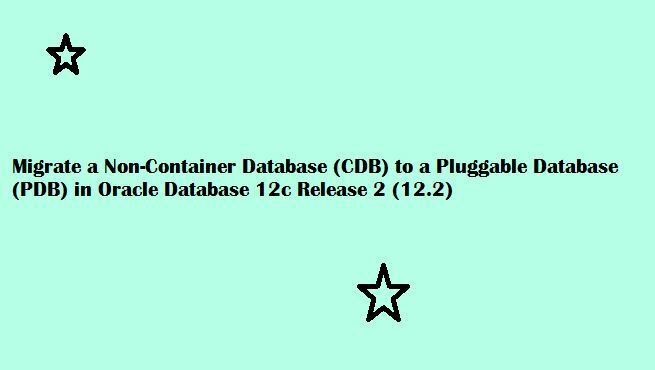 Create Database link in the root container pointing to the user which we create in the remote pluggable database. We can now clone the pluggable database from the root container using Database link which we created with the user connection. If we are not using OMF we need to convert the path using FILE_NAME_CONVERT parameter. Now we can check the pluggable database which we created through the clone.It has created successfully. Step 2 : Required to set the particular pluggable database in read write mode. Step 3 : Create a user in the remote database for use with the database link. In this case, we will use a local user in the remote PDB. Step 4 : Open the remote PDB in read-only mode. Step 5 :Switch to the local server and create a “tnsnames.ora” entry pointing to the remote database for use in the using clause of the database link. Step 6 :Connect to the local database to initiate the clone. Step 7 :Create a database link in the local database, pointing to the remote database. Step 8 :Create a new PDB in the local database by cloning the remote PDB. In this case we need to bother with FILE_NAME_CONVERT parameter for file name conversions we are not using Oracle Managed Files (OMF). Step 9 :We can see the new PDB has been created, but it is in the MOUNTED state. Step 10 :The PDB is opened in read-write mode to complete the process. Thus the pluggable database created successfully with the remote clone. Step 3 : If that particular Local Pluggable Database not in READ ONLY mode alter that PDB into READ ONLY mode. Step 5 : Now we can check the Local Pluggable Database through V$PDBS view.We can alter like normal pluggable Database as read only,close,read write modes. Switch to that Pluggable Database to close mode. Drop the Pluggable Database with Datafiles. Thus the Pluggable Database dropped successfully. Point In Time Recovery (PITR) of a PDB follows as same as regular database. The PDB is closed, restored and recovered to the required point in time, then opened with the resetlogs option. In this case, the resetlogs option does nothing with the log files themselves, but creates a new PDB incarnation. Create table and inserting records in that table with commit. 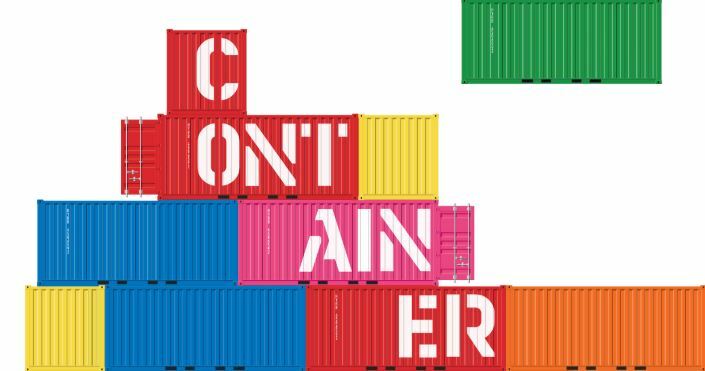 Checking the scn after giving commit. Then delete the records in the table with commit. After recovery log into particular pluggable database and we can check the table records. The Deleted records restored successfully in the pluggable database .